Red Bull Holden Racing Team recruit Garth Tander believes Supercars' 2019 rearrangement of the PIRTEK Enduro Cup will suit himself and Shane van Gisbergen. After losing his full-time Garry Rogers Motorsport drive in January, Tander takes on enduro duties this year with the 2018 title runner-up. His first assignment will be October's Supercheap Auto Bathurst 1000, which replaces Sandown as the Enduro Cup opener in the 2019 calendar. 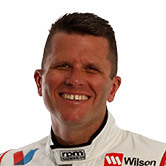 Losing the traditional warm-up puts extra pressure on co-drivers at Bathurst but Tander – a three-time winner and veteran of 20 starts – is comfortable with the change. "That's obviously going to be a bit different for everyone and for me, obviously my first year as a co-driver," Tander said. "I think that'll work in our favour, given my experience at Bathurst, and doing the 12 Hour at the end of this month and the miles I've done up there. "That's new for everyone, the whole change of the calendar, the enduro season layout if you like, so everyone will be learning on their feet as those events take place. "For me [between now and the enduros], it's a matter of getting in the car and learning the layout, learning the intricacies of the car, making sure I'm comfortable from a driving aspect. "I think Shane and I are basically identical with our bodyshapes, so ergonomics shouldn't be too much of a drama. "I'm going to be taking every opportunity I can to integrate with the team, so that when we do get to Bathurst it's as seamless as possible." 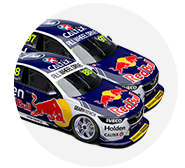 In the sister Red Bull Commodore, Craig Lowndes is an identical position to Tander, stepping back to reunite with Jamie Whincup. Triple Eight has won the Great Race seven times since Lowndes and Whincup claimed the first of their three wins together in 2006. That includes Lowndes and Steven Richards winning last year, while Tander has two victories of his own in that period. 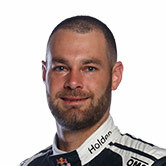 Van Gisbergen is the only driver without Bathurst success, but forms a key part of arguably the strongest line-up any team has taken to Bathurst. Tander, though, points to his ill-fated Holden Racing Team campaign in 2006 with Mark Skaife as a reason not to get carried away. With Tander drafted in from the sister HSV Dealer Team, Skaife claimed pole but suffered clutch slip off the line and was then collected by Jack Perkins going up Mountain Straight. "Everyone can come to their own conclusions on what level of strength our driving squad is," he said. "I've been in the situation before where I've been in a car and a team at Bathurst where we were unbackable favourites and the race didn't last more than 100 metres. "Just because you've got everything lined up and everything is prepared and organised as you can be... Bathurst is a strange place. "All I can do is try and integrate myself into the team as best I can over the next six months, before we head to the Mountain and what will be will be when we get there. "But I feel like we'll have a fast combination."